An online campaign has secured the future of the animals at the Donegal Donkey Sanctuary for several months, but those who run it are hoping that people will step up to make regular direct debits to provide a longer-term solution. A donkey sanctuary in Ireland which is home to 73 donkeys is able to press on after an online fundraising drive raised nearly €43,000 in just two days. 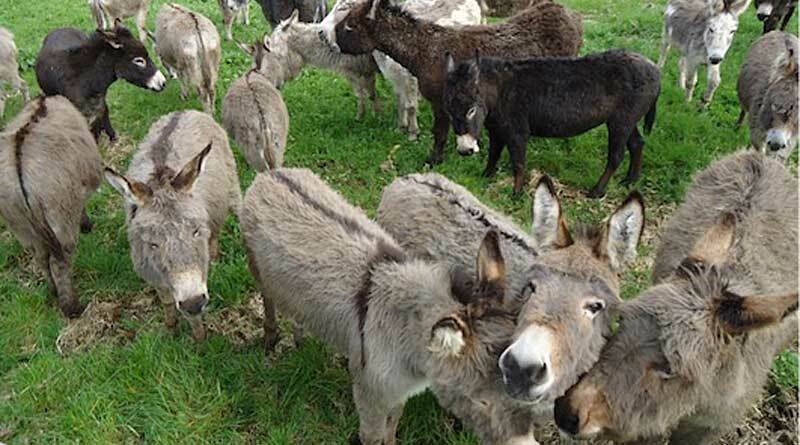 Donations by 1421 people to the Donegal Donkey Sanctuary had raised €43,047 at the time of writing, just short of the nonprofit organisation’s target of €45,000. The sanctuary said on its GoFundMe page that it had been struggling to keep its doors open. “The cost of vet, feed and farrier bills, along with welfare vehicle, trailer and centre maintenance costs are placing tremendous pressure on financial resources,” it said. The sanctuary, which operates from a purpose-built centre in Castledooey, has rehomed more than 600 donkeys over the years and currently has more than 70 in its care. Sanctuary operator Danny Curran said those who worked there were on cloud nine over the fundraising effort. “We just can’t believe the support and generosity that has flooded in over the last two days. “We can’t believe that this campaign has reached over €40,000. Curran said the sanctuary found itself in this financial situation because it lost corporate sponsorship from three separate firms which had all been severely affected by the recession. He said they could never thank supporters enough for what they had done for the donkeys. “But now we must reach out to supporters and ask if you could find it in your heart to set aside €10 or €20 per month by way of direct debit to prevent us from arriving back at the brink of closure again. “This phenomenal, incredible sum which has been raised over the last few days is a battle won but in order to win the war we need as many people as possible to commit a relatively small amount per month in order to create a regular, stable income for the donkeys. “We already have an amount of direct debits but sadly not enough. The sanctuary operated entirely from its own fundraising efforts, he said. “When you cope with the effects of human cruelty to animals in your everyday life it is easy to forget how many good people there are in the world. Those wanting to back the sanctuary can either visit the GoFundMe page or can pick up its details for bank deposits from its Facebook page.